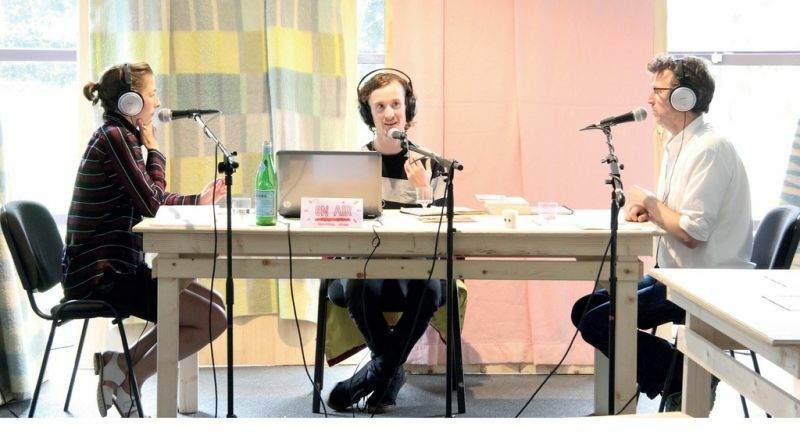 The eleven interviews that follow were made by Sophie Krier and Erik Wong under the rubric System D Recording Studio at the 2016 Graduation Show of the Sandberg Instituut. The interviews are conducted with each of the ten participants of the Temporary Program, System D Academy (2014-16), to discuss their work at the moment of graduation. The series also includes an interview with the System D Academy directors, Cynthia Hathaway and Melle Smits (see interview number 8 below). In the words of Krier and Wong, the System D Recording Studio worked to: "Record and activate the positions, the strategies, the tools, the findings and the future horizons of two years of System D Academy at the Sandberg Instituut." Sophie Krier and Erik Wong talk to Maarten Davidse about his project The Observer as a participant of System D at the 2016 Sandberg Instituut Graduation show. Sophie Krier (LU/BE) is a relational artist and researcher who develops tools for collective narration and reflection. She is particularly interested in the oscillating movement between dream and reality, and form and non-form. Initially trained in textile design at the Design Academy Eindhoven, today she interweaves stories at the intersection of art and ecology that connect beings and places. In her editorial practice she combines education, artistic research and interventions in public space. Between 2004 and 2009 she directed the undergraduate course designLAB (Rietveld Academie, NL). In 2008, Krier initiated Field Essays, an ongoing research project, which takes among others the form of a series of books published by Onomatopee. On invitation of University College Roosevelt (NL), Krier recently developed Art & Design Practice: a new program in the spirit of Liberal Arts & Sciences, which she currently teaches each fall semester. Erik Wong (NL) is a graphic designer and a lecturer coordinator at the Gerrit Rietveld Academy in Amsterdam. Together with a team that includes a copywriter, a web develop and filmmaker he develops books, websites and campaigns for clients ranging from the fashion industry, to architecture, technology and design. Wong was educated at the Gerrit Rietveld Academy (NL).